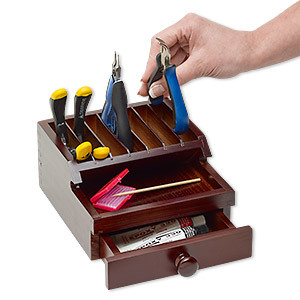 Tool organizer, Park Your Pliers, wood, brown, 7 x 3-1/2 x 6-1/2 inches. Sold individually. 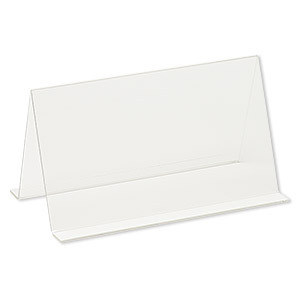 Item Number: H20-3053TL Have a question about this item? Use this well constructed organizer to keep tools, components or supplies in order in a drawer or on a shelf or workbench. 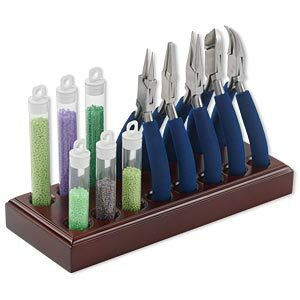 It also easily accommodates up to seven pairs of pliers or other tools for at-hand convenience. Color may vary from dye lot to dye lot. Display, stained wood, dark brown, 8-1/2 x 1 x 3-1/4 inches. Sold individually. 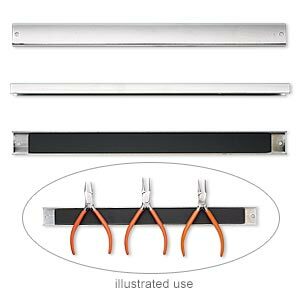 Magnetic rack, steel, black, 15 x 1-1/4 x 9/16 inches with 13 x 7/8 x 3/8 inch magnet length. Sold individually.